This Canon Colour Multifunction Inkjet Printer is the ideal companion for all your printing needs as it comes with a variety of features and is affordable as well. This multifunction printer has a compact body that does not occupy much space and makes it easy to store. Thus, you can keep this sleek printer on your desk or on the shelf with ease. 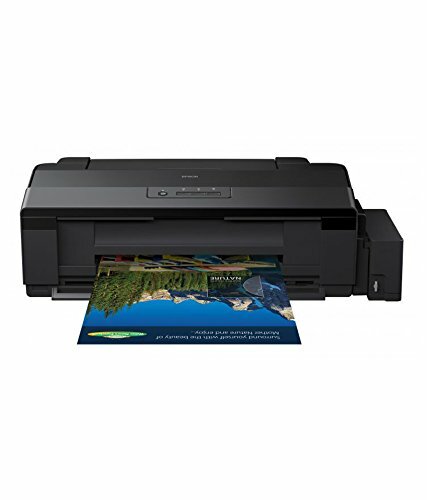 This printer uses Inkjet technology that makes the overall printing process easy and convenient. The printer comes in a classic black colour. With the help of the USB connection, you can easily connect a PC or other device with this printer. The interface of the printer is hi-speed USB 2.0. The Auto Power On feature detects the print command and switches the printer on automatically, saving you time and effort. With the image garden software you can edit images on the PC to make collages and calendars. This is a stand out feature of this Canon printer and it even makes suggestions to the users. Moreover, the device is compatible with Windows OS. This Canon Inkjet printer is a multifunction device that allows you to scan documents easily with the effective scanning facility. You can also use this device as a copier. Thus, you don’t have to invest in three different devices as this printer performs tasks of all three devices. The Canon printer comes with a standard ISO print speed up to 8 imp mono and 4 ipm for colour. The weight of the printer is Kg and comes in the dimensions of 47.8 x 37 x 19 cm.